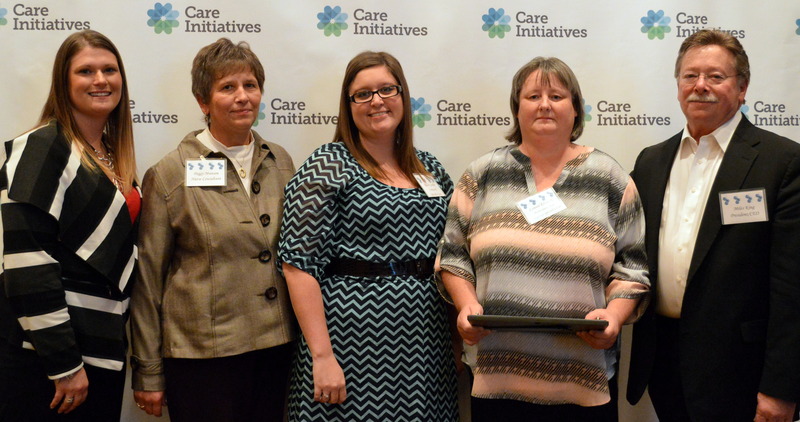 Connie Elswick of Oakwood Specialty Care in Albia received Care Initiatives Outstanding CNA Award for 2015. Elswick has been serving as a certified aide/med aide/restorative aide for almost 20 years. As a result, Elswick was asked to join six CNAs and members of the National Association of Health Care Assistants in going to Washington D.C. to meet with congressmen, representatives and health care leaders. Oakwood Specialty Care is an 86-bed skilled nursing facility offering rehabilitation services, skilled nursing care, long term care, and hospice care. It is owned and operated by Care Initiatives, Iowa’s largest not-for-profit senior care provider. With headquarters in West Des Moines, Care Initiatives and Care Initiatives Hospice operate 56 skilled nursing care, rehabilitation, Alzheimer’s/dementia, assisted living and hospice locations throughout Iowa. For more information about Care Initiatives, visit careinitiatives.org or call 641-932-7105.